Slice up the fruit you want to add to add to the mixture. In a blender, combine ice, protein powder, almond milk, and fruits. Blend until all your ingredients form a shake-like consistency. Pour your mixture into the popsicle mold and freeze. This recipe can be played around with according to your likings. Others who have made these have added strawberries, flax, avocados, almond extract, etc. Don’t be afraid to play around and see what works for you! Kathleen Trotter is the author of the upcoming book Finding Your Fit. Kathleen has been a personal trainer and pilates specialist for almost fifteen years and a fitness writer/media expert for seven. 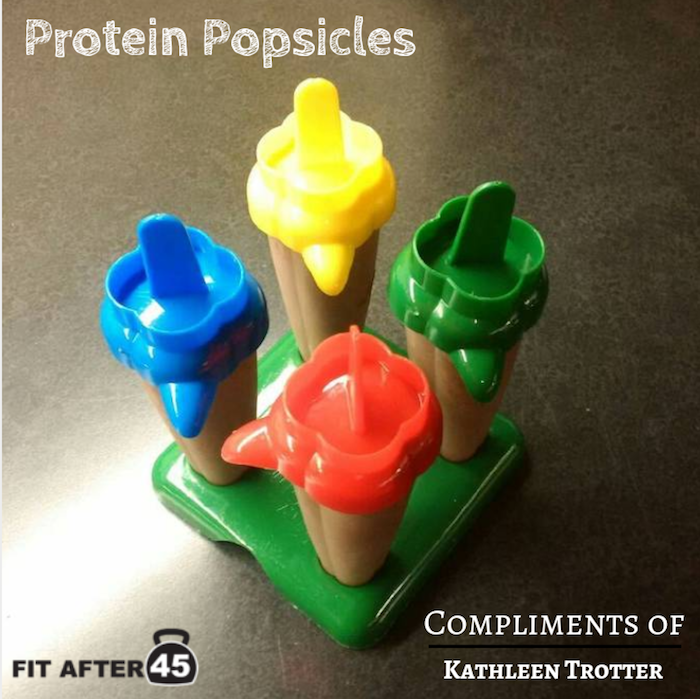 Read more about Kathleen Trotter and her fitness journey here.